Healthcare expert Lori-Ann Rickard reveals the easy and practical answers that only an insider knows. 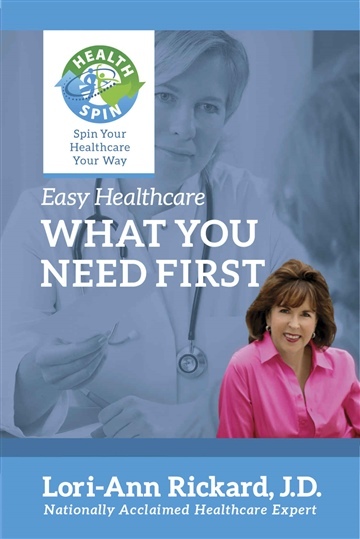 Spin Your Healthcare Your Way and discover What You Need First with her guide. This guide gives you the foundation for building a successful medical life. Lori-Ann Rickard gives you The Bottom Line. With over 30 years of experience in the healthcare industry, HealthSpin founder Lori-Ann Rickard puts you in charge so you can Spin Your Healthcare Your Way!